Today everything around us is smart like a smartphone, smart TV, smart headphones, smart appliance and even smart wallet & watch. 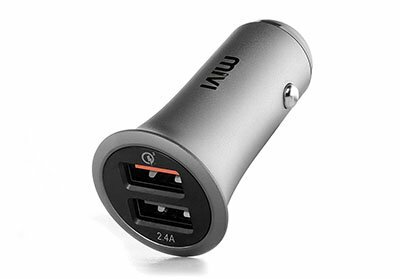 But every smart device we use in our life needs some charging power which we can easily provide at home but what happens if you are out for a long drive in this case a car charger can help you out. A normal person spends hours in his/her car while driving to work and that time could be utilized to charge all your smart devices, be it a smartphone, smartwatch, laptop or tablet. There are chances you might have forgot to plug your phone in while going to bed last night or were in a hurry in the morning leaving no time to charge your device. In that case, having a car charger come to the rescue and help you fill the juice by the time you reach to your office. boAt Dual Rapid Car Quick charger 3.0 is designed to charge devices up to four times faster than any conventional charging. 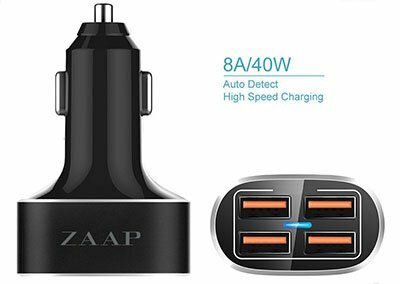 This Car charger comes with Smart IC optimum smart charging technology that can power your compatible products and other non-Qualcomm Quick Charge devices up to 5 V / 2.4 Amps. Technology for fined tuned power output & a more optimized charging cycle up to 45% more efficient than Quick Charge 3.0. Compatible with a full range of USB-powered connection types tech whether Android, Apple, Bluetooth headphones or speakers, smartwatches, dash cams, etc. The USB port adapts to your devices with advanced circuitry with built-in safeguards to protect your devices against excessive current, overheating, and overcharging to provide the safest maximum recharge rate with up to 3A & 2.4A of dedicated output available. Its sleek, minimalist design matches your car’s interior and its small power light lets you know your device is charging. This Car Charger comes with 2 Years of Warranty. Overall This is the Best Qualcomm certified Car Charger which you can buy under Rs. 600 in India. iVoltaa is known for quality products for smartphones like Charging wires etc. And their Turbo car charger never let you down because it comes with dual QC 3.0 Ports. This USB charging technology charge device up to 4 times faster than standard chargers, able to charge compatible devices to 80 percent in just 35 minutes. iVoltaa offers 1-year warranty provided by the manufacturer from date of purchase. Sporting more of an unconventional design, this car charger from Anker, a well-known brand in this space, has a cable extending out from the main charger to house a total of five USB ports on the other end of the cable. This allows all the people in the car to have their devices closer to them while they are being charged. 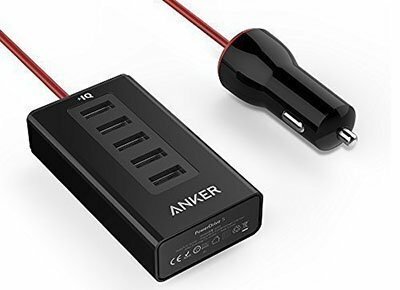 Anker uses its proprietary PowerIQ technology for fastest possible charging times while maintaining the temperature and other safety parameters. A maximum of 40 watts of power is supported from these USB ports allowing you to even charge laptops that support charging via USB Type-C. This charger is not compatible with the iPod nano, iPod Classic, iPod Shuffle, HP TouchPad and Asus tablets sorry for that. The company includes a warranty of 1.5 years with this product. If you know mumbiker nikhil then you definitely hear mivi brand name and Mivi provide great quality products at a very attractive price. This car charger includes a metal build that is not only sturdy but is also designed to last longer. You can connect using any type of USB cable to charge Android and iOS devices. Moreover, the company has provided two USB ports. 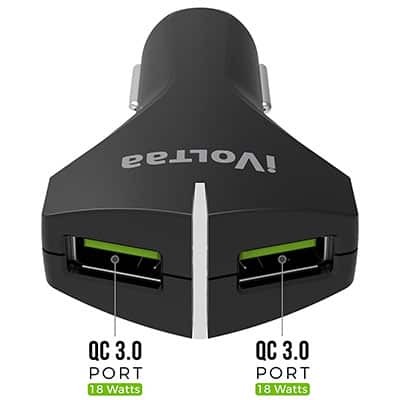 First USB Port support Quick Charge 3.0 and seconf one 2.4 amps. They can automatically detect the connected device to charge it with the maximum supported speed for QC 3.0 supported devices. 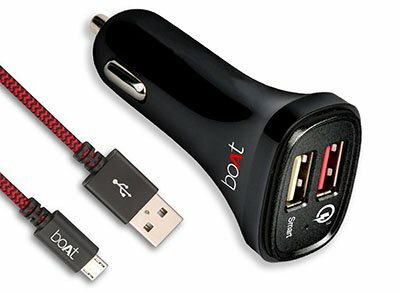 A specially designed circuit board for this car charger keeps the voltage in check in order not to damage your devices. IC Technology protects your devices against current, overheating and overcharging. Made of top-grade aluminum alloy with Black finish perfect for luxury cars. 4 USB outputs allow you to charge up to 3 devices at once. Multi Safety Protection system ensures Battery safety and Voltage/Temperature control. Compact & Portable design allows you to charge your device anywhere anytime. Auto Detect Integrated Circuit Technology. Blue LED indicator helps visualize the connection status.